Indulge in National Cheesecake Day! I must admit, I love cheesecakes, they are one of my favorite things to make and to eat. However I usually prefer to create the rich, creamy, decadent ones that you bake. 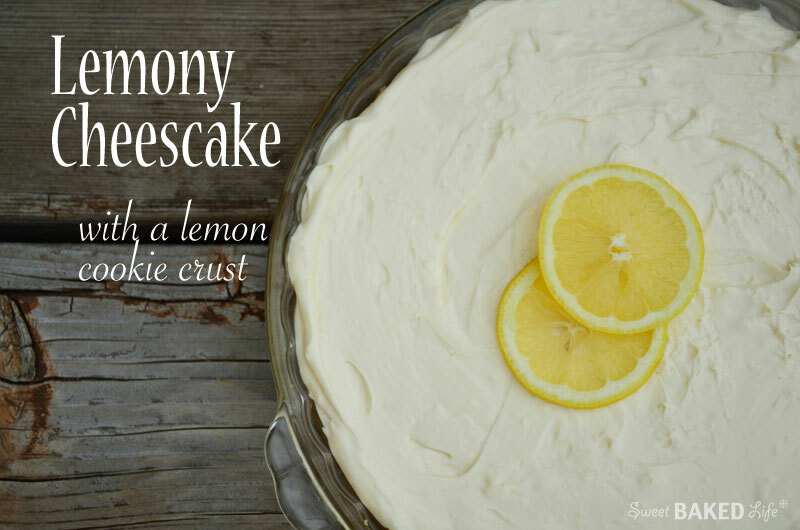 But since it’s the summer I thought I’d make this classically refreshing no-bake Lemony Cheesecake and put my own special twist by creating a lemon cookie crust. It’s super simple as both the cookie crust and the cheesecake do not require you to turn on your oven. The creamy and refreshing citrus cheesecake filling against the crunchy lemon cookie crust is a dream come true! This simple yet elegant dessert will definitely impress your friends and family. Put cookies in a large resealable plastic bag, and crush them with a rolling-pin until very fine crumbs form. Pour crumbs into a medium bowl then add the sugar and mix. Add butter, and stir until well combined. Press the crumb mixture into a 9-inch pie pan; press flat on the bottom and up the sides. Chill crust in freezer at least 15 minutes. Meanwhile, make the filling: In a large bowl of an electric mixer, beat the cream cheese on medium-high speed until smooth. Beat in the condensed milk a little at a time, scraping the sides of the bowl as necessary. Beat in the lemon juice and vanilla. Pour the filling into the crust; smooth the top with a rubber spatula. Cover with plastic wrap, and refrigerate until firm, about 2 to 3 hours, or overnight. Love the idea of a lemon cookie crust! I think I might have to make this for the bf. 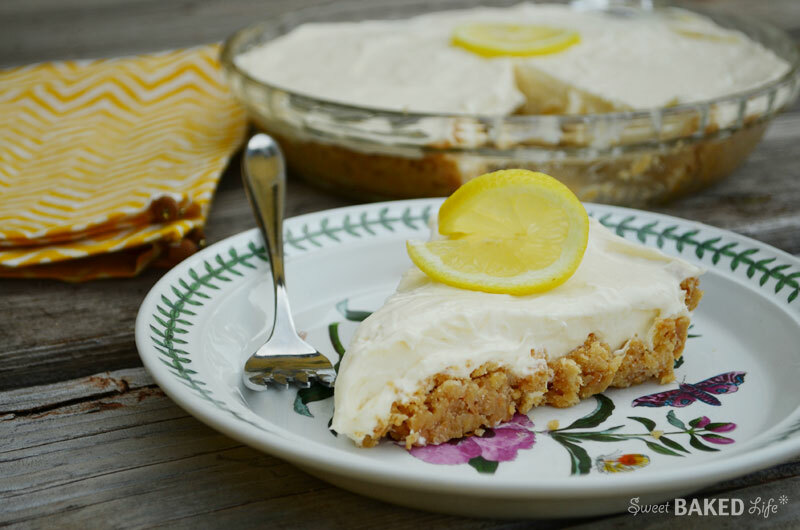 Love the idea of a lemon cookie crust! Might have to make this soon for the bf. Wow, what a picture. the crust looks fabulous and the cream cheese on top. I love the touch of the lemon on top! too good to be true. That looks amazing! The crust is always my favorite part of a cheesecake, I love that the crust on this one is so thick- yum! Thanks! And me too, love the crust!